TORONTO, ON – Great Lakes Brewery has announced the return of the summer installment in its seasonal IPA rotation. Looks as beautiful in your glass as a lovely summer day at Sunnyside Beach. Gaze into the sun to get an idea of the colour of this unfiltered (brilliant gold, hazy) tasty treat, which is protected with a snowy head, reminiscent of white caps rolling on Lake Ontario. The citrus aromas leap from the glass with each gentle swirl. Lemon is the most prominent followed by pineapple and a touch of grapefruit. Light body, juicy and refreshing, the same aromas make their way onto the palate, which are elevated due to the soft carbonation and mouthfeel. A dry finish with lingering pineapple notes, Sunnyside has all the flavours of a big GLB IPA packaged into a remarkably drinkable session ale. 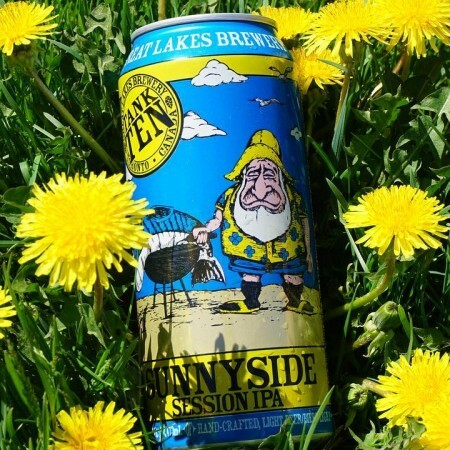 Sunnyside Session IPA is available now in 473 ml cans at LCBO locations throughout Ontario, as well as the Great Lakes retail store.